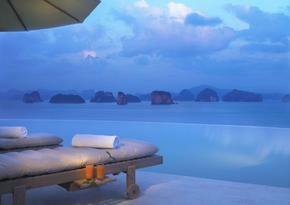 Find a luxury hotel in Phuket from the Hotique Hip Hotels Guide. Hotique is an independent guide, featuring luxury 5 star design hotels, hip hotels and unique boutique hotels including hip hotels in Phuket. View our featured hotels in Phuket below or search for a boutique hotel in Phuket. 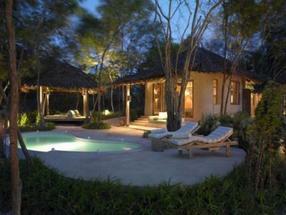 Welcome to Hotique's selection of Boutique Hotels in Phuket - including beach and spa hotels with private villas. Phuket is a favourite destination for a honeymoon, or a romantic break with beautiful sandy beaches, delicious food and excursions to the beautiful islands that are close to Phuket. From small luxury hotels to hotel spa resorts, pick your perfect hotel from our hand-picked selection of the best luxury hotels in Phuket. Don’t forget to stop off at one of the Spa’s. Banyan Tree Phuket - 150 beautifully designed villas, with large private swimming pools and award winning Spa, located beside an unspoilt beach in the peaceful North West coast of Phuket – Recommended. Six Senses Hideaway Yao Noi - Set amidst lush island forest, with dramatic views of Phang Nga’s dramatic limestone rocks, Yao Noi is an inspiring island resort. Highly Recommended. Phuket's high end luxury hotels are setup to provide lxuxury, pampering and an unforgettable getaway. Find a stylish boutique hotel in Phuket from the Hotique Hip Hotels Guide. Design Hotels in Phuket - from Hotique. Small & hip or 5 star luxury? Find your perfect hip hotel in Phuket.